The short answer is Yes. 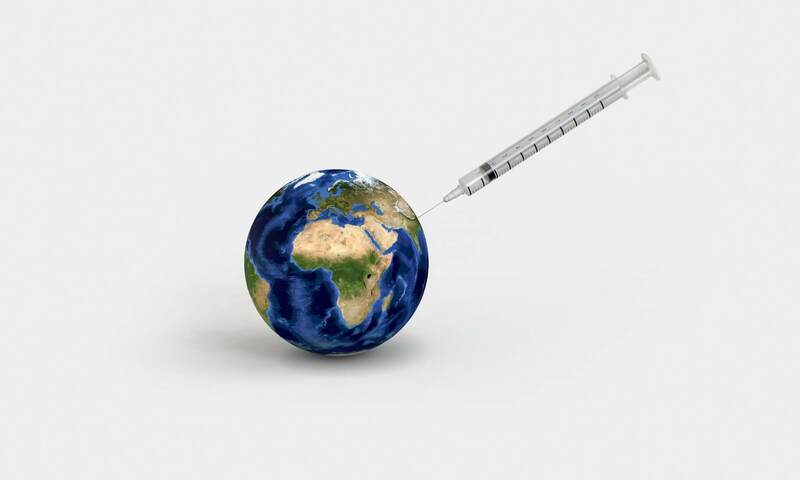 Travel vaccinations and medicines are necessary for some African countries. The long answer is much more complicated. Vaccinations help you develop immunity (protection) against diseases before you come into contact with them. Across Africa, and particularly in Sub-Saharan Africa, there is a higher incidence of infectious and communicable diseases due to the tropical and sub-tropical climates and poverty. The prevalence of disease varies greatly by country, and consequently, the rules regarding vaccination also vary by country and where you visit within those countries. Some African countries require ALL visitors to have certain vaccines like yellow fever, while others only require vaccines for those traveling or transiting from high risk countries. Still others have only recommended vaccines and medications. Yellow fever vaccine is REQUIRED for ALL visitors in 14 African countries: Angola, Burundi, Central African Republic, Republic of the Congo, Cộte D’Ivoire, Democratic Republic of the Congo, Gabon, Ghana, Guinea-Bisseau, Liberia, Mali, Niger, Sierra Leone, and Togo. Most of the other countries only require the yellow fever vaccine if you are traveling or transiting from a country with a risk of yellow fever (The US has no risk of yellow fever). Be sure to verify the requirements before travel, as they are subject to change. You must get the yellow fever vaccine at least 10 days before travel to allow time for the vaccine to take effect. Upon vaccination, you should be given a stamped and signed “International Certificate of Vaccination or Prophylaxis” (aka Yellow Card). The Yellow Card becomes valid 10 days after vaccination and must be presented on arrival as proof of vaccination. The yellow fever vaccine provides lifetime immunity. Malaria is a parasitic disease transmitted by the Anopheles mosquito, which primarily bites at dawn, dusk and at night. Malaria is common in Sub-Saharan Africa, with the highest prevalence in Nigeria, Democratic Republic of Congo, Uganda, Côte d’Ivoire, Mozambique, Burkina Faso, Ghana, Mali, Guinea and Togo. Antimalarial medications prevent and treat malaria. Antimalarial medications must typically be taken several days to a week before travel and 1 to 4 weeks after travel. Malaria parasites have become resistant to several antimalarial drugs, so it is important to obtain the proper drug for the area(s) you will be visiting. Zika is caused by a virus transmitted primarily by Aedes mosquitoes, which bite during the day. It can also be spread from mother to fetus during pregnancy and from partner to partner through sexual activity. Zika is found in 30 African countries: Angola, Benin, Burkina-Faso, Burundi, Cameroon, Cape Verde, Central African Republic, Chad, Republic of the Congo, Côte d’Ivoire, Democratic Republic of the Congo, Equatorial Guinea, Gabon, Gambia, Ghana, Guinea, Guinea-Bissau, Kenya, Liberia, Mali, Niger, Nigeria, Rwanda, Senegal, Sierra Leone, South Sudan, Sudan, Tanzania, Togo, and Uganda. Because there is no vaccine or medicine for Zika, travelers should take steps to prevent getting Zika during travel. Pregnant women should avoid travel to affected countries due to the risk of severe birth defects. Hepatitis A is a highly contagious liver disease caused by contaminated food and water. Hepatitis A can be prevented by the Hepatitis A vaccine and by avoiding undercooked food, unclean raw vegetables, and unclean water. Typhoid Fever is a bacterial disease spread by contaminated food and water and close contact. Typhoid fever is prevented by vaccine, either injection or oral pill, as well as by avoiding undercooked food, unclean raw vegetables, and unclean water. Cholera is a bacterial infection characterized by profuse diarrhea, vomiting and leg cramps. Cholera is caused by contaminated food and water and can spread quickly in areas with inadequate treatment of sewage and drinking water. Cholera can be prevented by vaccination and by avoiding undercooked food and unclean water. No cholera vaccine is 100% effective so simultaneous preventative techniques are suggested. Tuberculosis (TB) is a bacterial infection spread from person to person through the air. TB mostly affects the lungs but can also affect other parts of the body. TB is treated with a standard 6-month course of 4 antimicrobial drugs. The Bacille Calmette-Guérin (BCG) vaccine can prevent TB, but it is not widely used in the United States due to variable effectiveness. TB is most prevalent in Nigeria and South Africa. Today, most children are immunized against these infectious diseases: Measles, Mumps, Rubella, Diphtheria, Pertussis, Polio, and Tetanus. Adult booster vaccines should be updated every 10 years and are typically recommended for travel to most African countries. You should visit your personal physician or a travel clinic at least 4 to 6 weeks before your trip, for consultation and advice regarding necessary vaccines and medications for your specific destination(s). If you weren’t immunized as a child or if you haven’t been re-immunized as an adult, you may consider getting adult booster vaccines. Your personal physician can usually administer these vaccines and they are typically covered by US health insurance. Travel vaccines, on the other hand, are often not covered by US health insurance and can be pricey (i.e., $250+ for yellow fever vaccine, $100+ for typhoid vaccine). But they are typically free or low-cost (i.e., $20) in other countries like Mexico, Panama, Cuba, Brazil, or elsewhere. If you have scheduled travel to another country, it may be worthwhile to obtain necessary travel vaccines there instead of the US. Use an EPA-registered insect repellent, which includes repellents containing DEET, Picaridin, IR3535 or oil of lemon eucalyptus. Apply repellent to the neck, arms, legs and ankles for the best protection. Wear long sleeves, pants and closed toe shoes at dusk or after dark. Also wear light colored clothes, as dark colors tend to attract mosquitos. Spray clothes with permethrin (one treatment lasts 6 weeks or 6 washings). Sleep with a mosquito net (make sure that the net doesn’t have holes and it completely covers the bed). Use air conditioning or a fan in your room (mosquitos are less active in cooler temps and fans can keep them out of the air). Spray your room with insecticide before bed (leave the room for at least 30 minutes after spraying). To share tips with other travelers and learn more about the Travel Africa Movement ™ (TAM), join us on Facebook.